This is the second of twenty-five weekly articles in The Tennessee Star’s Constitution Series. Students in grades 8 through 12 can sign up here to participate in The Tennessee Star’s Constitution Bee, which will be held on September 23. 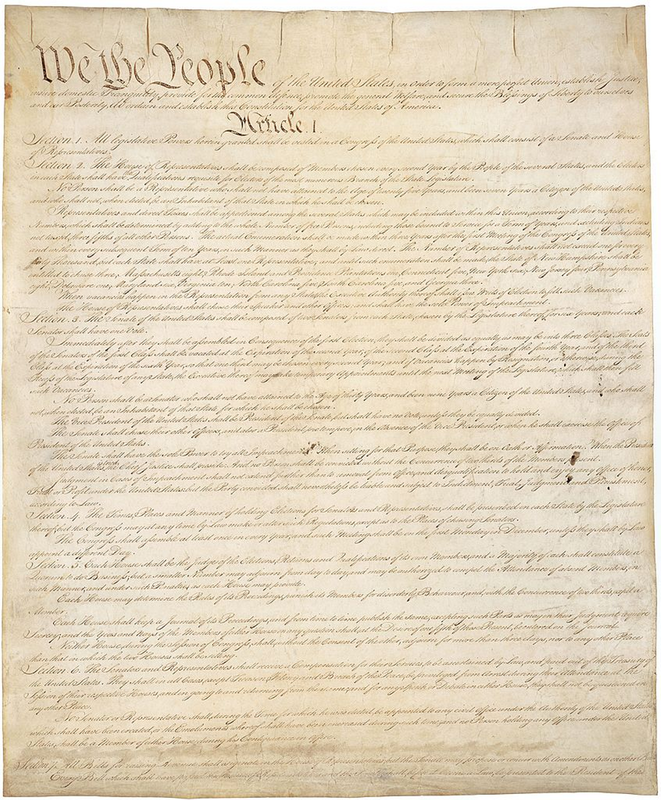 Today’s high school students may yawn when they hear teachers describe what a world-changing document the United States Constitution was when it was ratified in 1788 and a new government was formed a year later in 1789. 1. A Single Written Agreement Was Now the Highest Authority for “The Rule of Law” in America. All of the thirteen original states who ratified the United States Constitution were former British colonies. As a consequence, the government of the new United States was based on what the British called “the rule of law” — the idea that the country was governed by laws that applied to everyone, not by the arbitrary decision of one or a select group of leaders. “The rule of law” is one element that distinguishes both a republic and a constitutional monarchy from a dictatorship, an absolute monarchy, or a pure democracy. Great Britain during the era of the Founding Fathers had a population of fourteen million, and consisted of three kingdoms on the island of Britain–England, Wales, and Scotland-united under a single government whose head of state was the king and whose laws were established by the elected Parliament, and a fourth kingdom-Ireland- on the island of Ireland that was a “client state” of the kingdom of England. 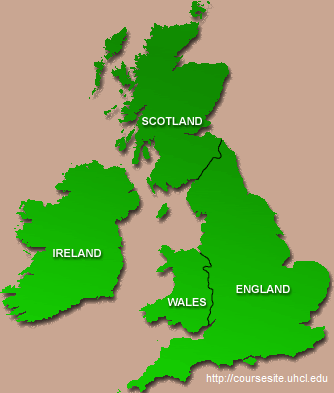 By 1801, all four kingdoms would be united under one country, known as The United Kingdom of Great Britain and Ireland. The first eight decades of the settlement Colonial British North America took place as the mother country, Great Britain, underwent its own dramatic transformation from a nation that was on the verge of becoming an absolute monarchy to one that was firmly established as a constitutional monarchy. In 1607, when the first British settlement in North America was established in Jamestown,Virginia, Great Britain was ruled by King James I, who conducted himself as an absolute monarch and considered Parliament–the country’s elected legislative body whose tradition stretched back to the thirteenth century and beyond–as an annoyance to largely be ignored. 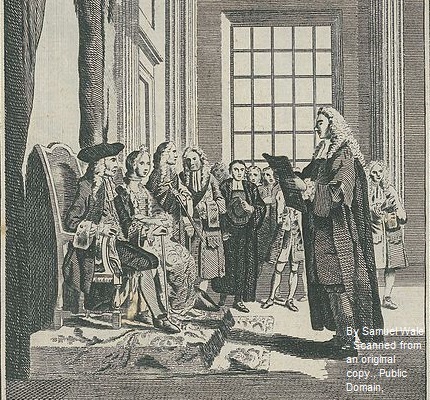 By 1689, when local residents of the colony of Massachusetts successfully revolted against a tyrannical governor put in place earlier by King James II, William & Mary had assumed the throne of Great Britain as constitutional monarchs who agreed to Parliamentary supremacy. The new Parliament elected after the Glorious Revolution passed a new law–the Bill of Rights of 1689 (often called the English Bill of Rights, not to be confused with our own Bill of Rights, the first ten amendments to the Constitution, all of which were ratified by 1791. 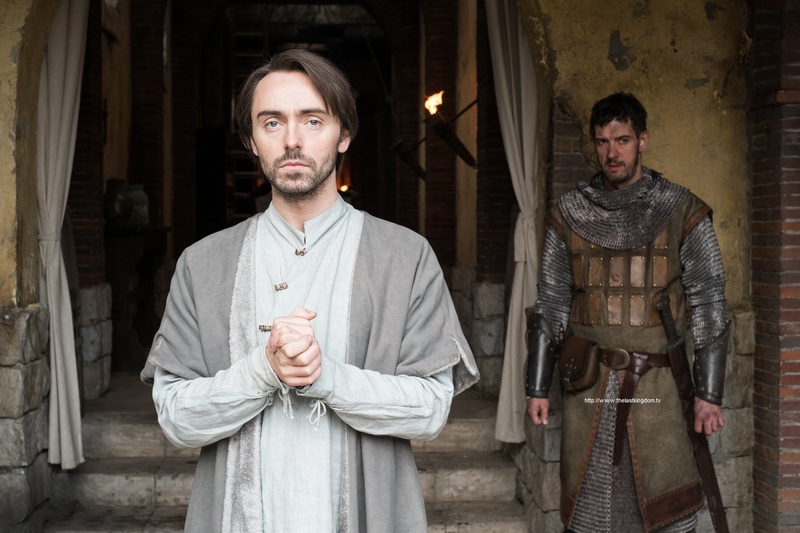 )–that defined the terms of this new constitutional monarchy, and protected the individual liberties of British subjects wherever they lived in the world. The agreement was hailed on both sides of the Atlantic. 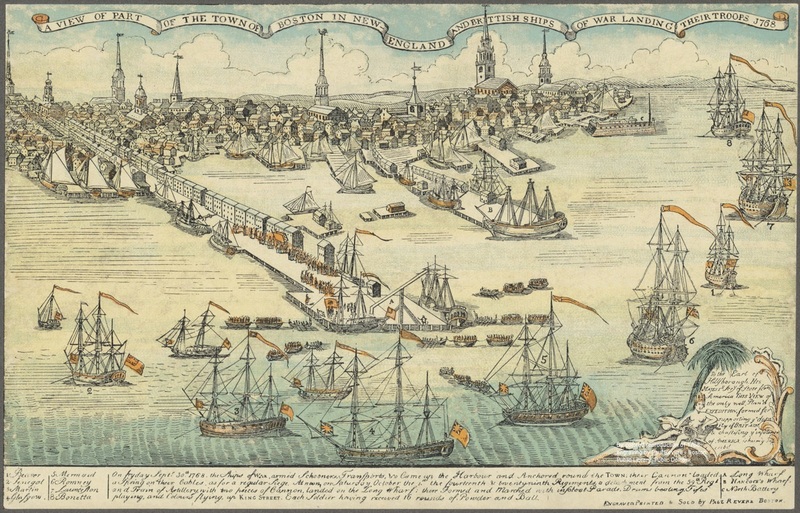 British subjects living in Colonial British North America–which by this time had a population of 250,000–celebrated the ascendancy of a constitutional monarchy as well. John Locke, an influential English political philosopher whose ideas were central to rise of a constitutional monarchy and whose writings profoundly influenced the thinking of many of the Founding Fathers, summed up the concept of “the rule of law” that held sway in the minds of British subjects on both sides of the Atlantic Ocean at the time. “Freedom is constrained by laws in both the state of nature and political society,” Locke wrote in a book called Two Treatises of Government, first published in 1689. “Freedom of nature is to be under no other restraint but the law of nature. Freedom of people under government is to be under no restraint apart from standing rules to live by that are common to everyone in the society and made by the lawmaking power established in it,” he said. “Persons have a right or liberty to (1) follow their own will in all things that the law has not prohibited and (2) not be subject to the inconstant, uncertain, unknown, and arbitrary wills of others,” Locke concluded. Locke’s ideas made a lot of sense to the Founding Fathers, all of whom were born well after those words were written (the oldest Founding Father, Benjamin Franklin, was born in 1706, more than 17 years after the Glorious Revolution) but began their intellectual journeys fully on board with the British concept of a constitutional monarchy. Had the mother country adhered to those principles, there would have been no need for an American Revolution. But, as it turned out, Parliament and King George III began to treat British subjects in British North America differently than it treated British subjects living in Great Britain. A famous English legal scholar by the name of A.V. 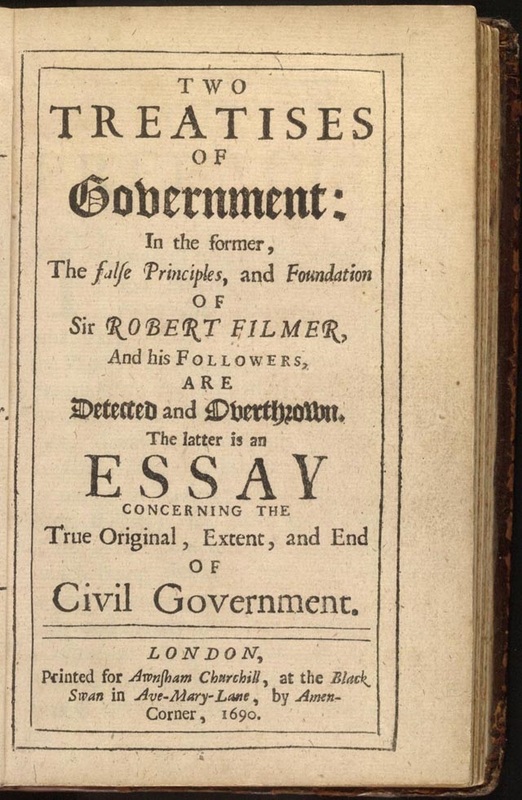 Dicey wrote a book in the late 19th century in which he argued that England (and by extension Great Britain and now the United Kingdom) has, in fact had a Constitution for centuries, but it is not found in a single document. Instead, it is comprised of the combination of laws passed by Parliament, the common law (the collective judicial decisions of the courts over hundreds of years), “parliamentary conventions,” such as the one that enacted the reforms of the Glorious Revolution, and “works of authority,” such as the document signed in 1215 by King John and the barons of England known as The Magna Carta. Dicey is probably correct in that assertion, but the fluid nature of the “English Constitution,” and the ability of Parliament to pass laws that changed what it said without giving proper consideration to the views of British subjects living in British North America was the ticking time bomb just waiting to explode during the second half of the 18th century. 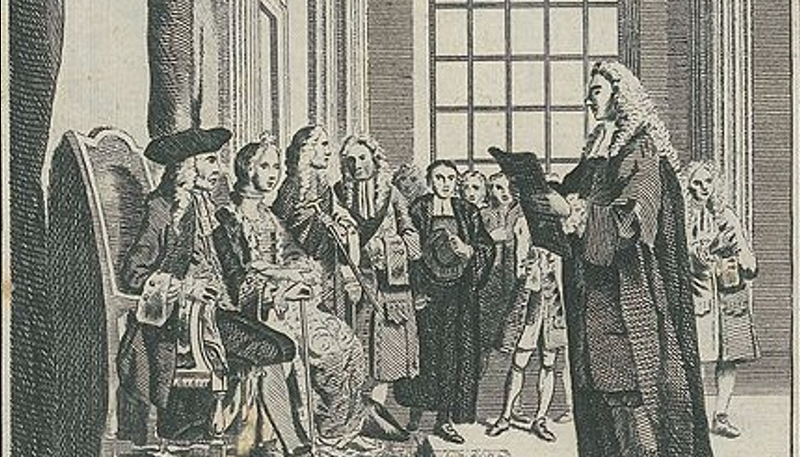 In 1765 Parliament passed the Quartering Act, which forced colonists to provide lodging to British soldiers living among them, and the Stamp Act, which placed an unwelcome tax on all newspapers, legal documents, and other printed documents in the colonies. The colonists, with good reason, believed that these laws completely disregarded their rights as British subjects. Then in 1767, Parliament passed even more onerous laws, known collectively as the Townshend Acts, which imposed more unwelcome taxes on the colonists, including the now infamous tax on tea. 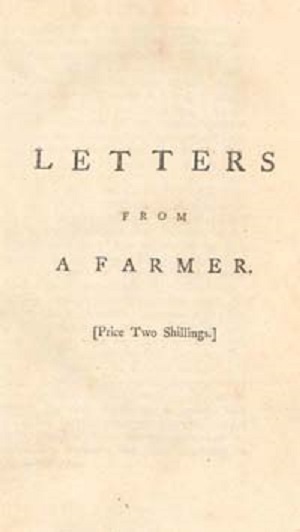 In late 1767, a series of articles entitled “Letters from a Farmer in Pennsylvania” began to appear in publications throughout the thirteen colonies. 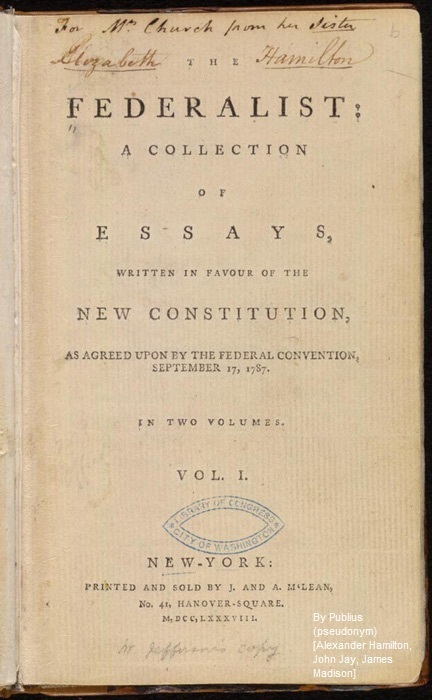 Penned by John Dickinson, who two decades later would serve as a delegate to the Constitutional Convention, these essays presented a compelling case that the imposition of taxes on the colonies by Parliament without their consent was unconstitutional–defining the English constitution as the new agreements about governance in Great Britain arising from the Glorious Revolution almost eight decades earlier. That sentiment was widely shared in the colonies. The usurpations of the liberties of the colonists by Parliament kept piling up. 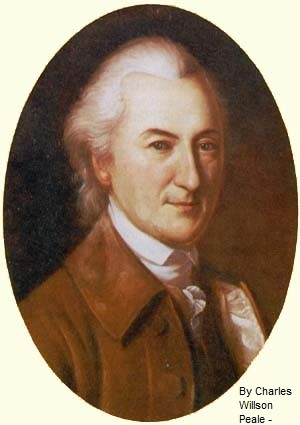 “With a good deal of surprise I have observed that little notice has been taken of an act of Parliament, as injurious in its principle to the liberties of these colonies as the Stamp Act was: I mean the act for suspending the legislation of New York,” Dickinson wrote in one of his letters. “The assembly of that government complied with a former act of Parliament, requiring certain provisions to be made for the troops in America, in every particular, I think, except the articles of salt, pepper, and vinegar,” he noted. “It seems therefore to me as much a violation of the liberty of the people of that province, and consequently of all these colonies, as if the Parliament had sent a number of regiments to be quartered upon them, till they should comply,” the future delegate to the Constitutional Convention concluded. When Parliament passed The Tea Act of 1773, which removed the British East India Company’s export tax for shipping tea to British America, but left the tax on tea imported to British North America intact, the call to arms, “No Taxation Without Representation” reverberated throughout the colonies. Fourteen years later, after the American Revolution had been fought and won, and the Articles of Confederation had clearly failed, the delegates who gathered at the Constitutional Convention in Philadelphia in May of 1787 knew they had to create a single, lasting, definitive document that every colony could agree to that would be the highest authority for what “the rule of law” meant in America. And that is exactly what they produced in the Constitution that was ratified and created the United States of America in 1789. That highest authority could be changed, but those changes–called amendments–required a much more elaborate and participative process than the mere enacting of a single statute by the new country’s legislative body. As for the document that emerged, it set the standard for two key concepts of governance that, while present in a few other smaller countries at the time, had never been fully developed in the creation of a major nation: federalism and the separation of powers. Once the rest of the world saw it, they took notice. Soon, other countries began to follow the example of the United States. Not all of the governments established by those single document constitutions have fared as well as our own. The French Constitution of 1791, ratified just two years after the formation of the new government of the United States, established a constitutional monarchy to replace the absolute monarchy of the ill-fated King Louis XVI. That agreement barely lasted a year, and was replaced by the French Constitution of 1793, which established the first of five French republics, each with its own constitution. The current French Constitution of 1958 established the Fifth French Republic. The Polish Constitution of 1791, which established a constitutional monarchy, also lasted less then two years. In 1814, Norway had better luck with the Constitution of the Kingdom of Norway, which established a constitutional monarchy that continues to this day. Now, in 2017, more than one hundred countries have a single written document that serves as their constitution. However, in many of those countries the document has little impact, since they lack the same tradition of and respect for “the rule of law” found in the United States and Great Britain. 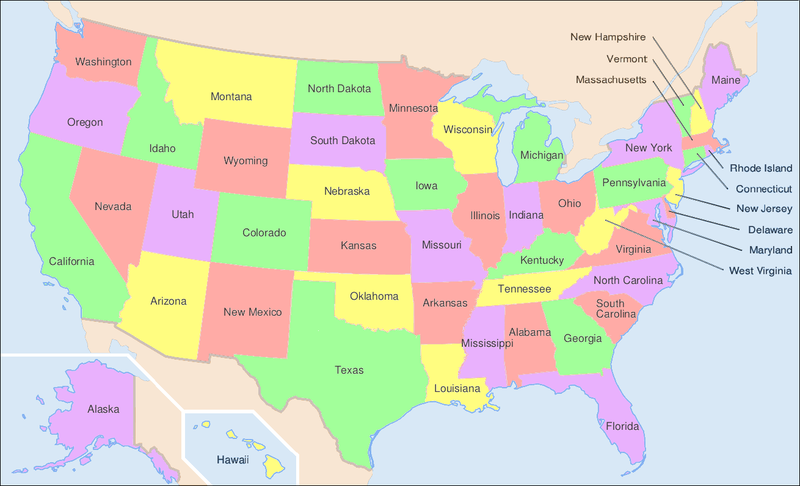 Tomorrow, in the second of this week’s articles on the three things that make the United States Constitution unique in the history of the world, we’ll talk about (2) Federalism, then on Wednesday in our third article this week we’ll look at (3) The Separation of Powers. This is the second part of the second of twenty-five weekly articles in The Tennessee Star’s Constitution Series. Students in grades 8 through 12 can sign up here to participate in The Tennessee Star’s Constitution Bee, which will be held on September 23. Federalism is a foundational concept framed in the Constitution of the United States which defines the relationship between the national government and each of the state governments that comprise our republic (thirteen such state governments in 1789, fifty now in 2017). Both entities–the national government and each state government–remain sovereign, while the powers of governance and responsibilities to the citizenry are balanced between the two. Federalism, along with The Separation of Powers within the national government (which we will discuss in tomorrow’s article) are the two foundational concepts of the Constitution that protect the freedoms and liberties guaranteed to individual citizens. “In the compound republic of America, the power surrendered by the people is first divided between two distinct governments, and then the portion allotted to each subdivided among distinct and separate departments,” James Madison, probably, or Alexander Hamilton, possibly, wrote of “the federal system of America” in Federalist Paper #51, one of the famous series of essays written after the Constitutional Convention designed to persuade the thirteen separate states to ratify it. “Hence a double security arises to the rights of the people. The different governments will control each other, at the same time that each will be controlled by itself,” they concluded. While revising the Articles of Confederation, delegates to the Constitutional Convention finally confronted the proper role of the states, the constitutional branch of government closest to the people being governed. 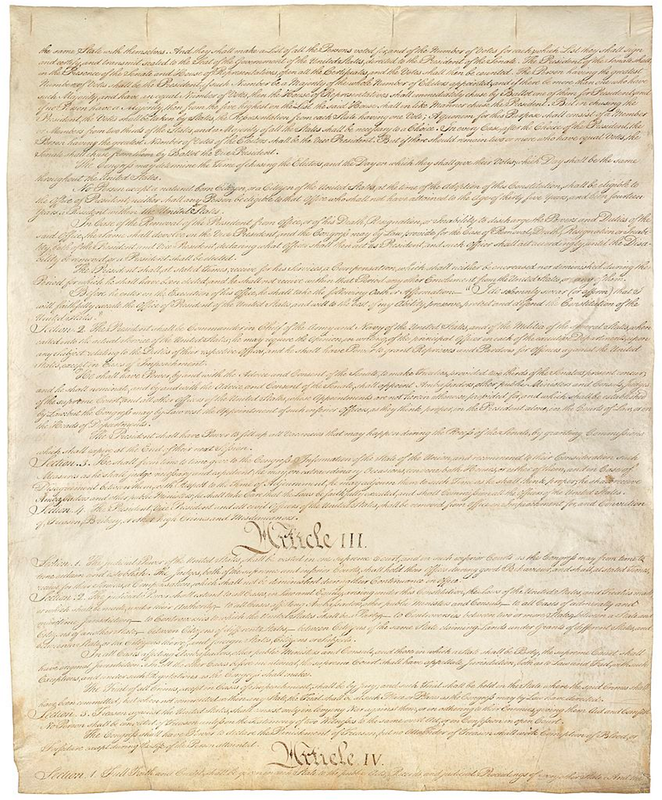 Though the document that emerged from the convention increased the powers of the national government, which were virtually non-existent under the Articles of Confederation, the complete agreement which defined that relationship was not finalized until the Tenth Amendment, the last amendment in the Bill of Rights, was ratified on December 15, 1791, just three years after the Constitution was ratified and two years after the national government was formed. When considering the “original agreement” of the Constitution, those first ten amendments must be considered part of the deal, because several states–Massachusetts being the most prominent–agreed to ratify the Constitution only on the solemn promise of proponents that the first Congress convened under the new government would add that Bill of Rights. The motivation behind the 10th Amendment, as expressed vehemently during the debates held during the ratification conventions in the thirteen states, was to ensure that power didn’t become centralized in the national government. It was the same notion of “checks and balances” that had been the driving force behind James Madison’s original outline for the Constitution that was so influential at the Constitutional Convention in Philadelphia. 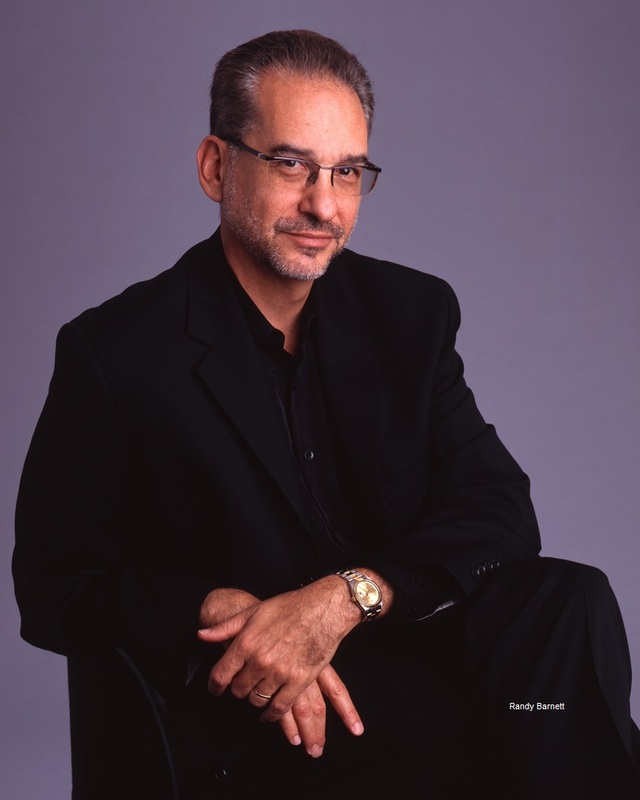 “The Constitution that was actually enacted and formally amended creates islands of government powers in a sea of liberty,” Georgetown Law Professor Randy Barnett wrote in his 2004 book Restoring The Lost Constitution: The Presumption of Liberty. Those government powers were balanced between the national government and the state governments. “To better secure the natural rights of the sovereign people, the power of the national government was limited to those ‘herein granted’ in the written Constitution,” Barnett wrote in his most recent book, Our Republican Constitution: Securing the Liberty and Sovereignty of We the People. Under the Federalism defined in the Constitution, the national government has 33 specific limited and enumerated powers “herein granted” to its three separate branches. It also defines 8 specific types of cases to which the judicial power of the judicial branch of the national government shall apply. In tomorrow’s article on The Separation of Powers, we’ll explain how the Founding Fathers designed these three separate branches of the national government to provide “checks and balances” so that no one of the three branches would obtain powers so great as to make it capable of abusing those powers. Any powers other than these 33 enumerated powers specifically given to the national government’s three branches as identified above “are reserved to the States respectively, or to the people,” as the Tenth Amendment makes so clear. While it has been common practice for many years to refer to the “national government” as the “federal government,” this terminology leads to a great deal of confusion when it comes to understanding what the foundational concept of Federalism defined in the Constitution really means. As the national government has extended its powers, particularly in the last century, far beyond the very limited scope defined in the Constitution, some people are under the misimpression that Federalism means the supremacy of the national or federal government over the state governments. Similarly, the labeling of the different groups who debated the Constitution during the ratification process has added to the confusion surrounding the true meaning of Federalism. So, it was really the “Anti-Federalists” who were ultimately responsible for the final form of Federalism incorporated in the Constitution and the Bill of Rights. Finally, there is the Federalist Party, the first political party in America. 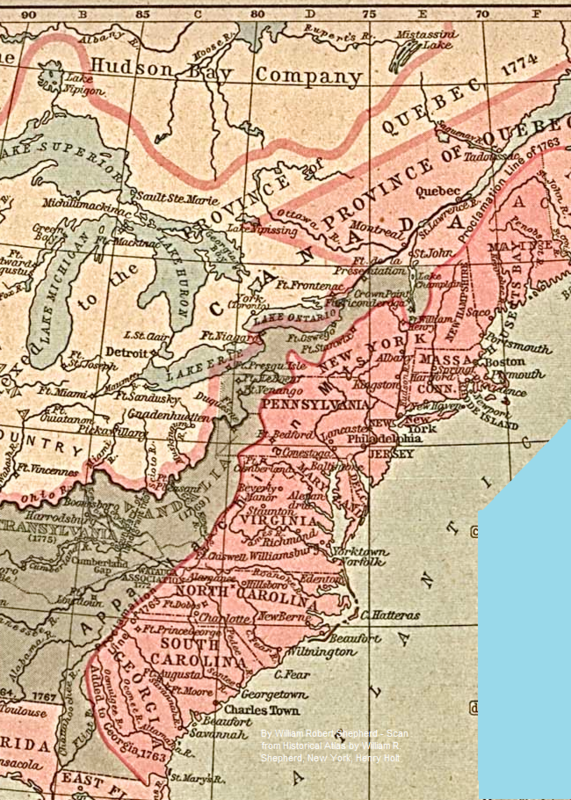 It was in existence from about 1792 until 1816, and it advanced policies that were often at odds with the foundational constitutional concept of Federalism. It consisted of business and banking interests who supported the economic policies of Alexander Hamilton, the first Secretary of Treasury. Hamilton supported a national bank and the notion that the Constitution provided “implied powers” to the national government, a notion that the quickly formed second national party, the Democratic-Republicans, led by Thomas Jefferson and James Madison vigorously disputed. A great deal has happened in the 226 years since the Tenth Amendment was ratified, and most of it has advanced the power of the national government at the expense of state governments and individual citizens. “Since the adoption of the Constitution, courts have eliminated clause after clause that interfered with the exercise of government power,” Georgetown Law Professor Barnett wrote in his 2004 book. The result is just the opposite of what the Founding Fathers intended when they made Federalism one of the foundational principles of the Constitution. 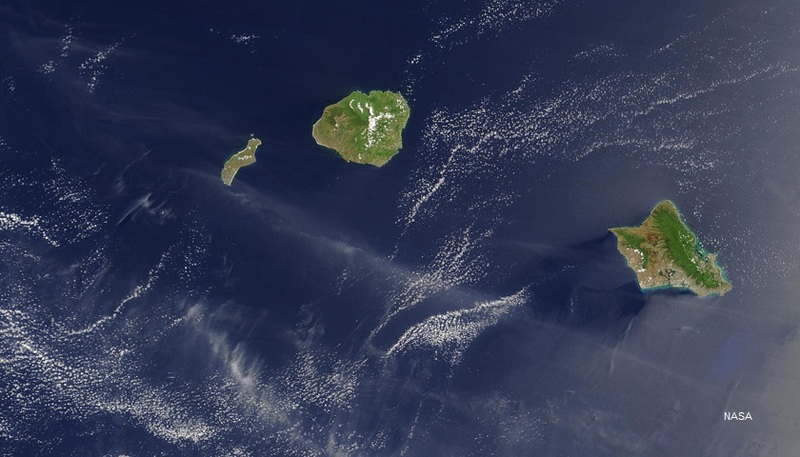 “The judicially redacted constitution creates islands of liberty rights in a sea of governmental powers,” Barnett concluded. Is it time to restore the foundational concept of Federalism the Founding Fathers installed within our Constitution to the operation of our national and state governments in 2017 and beyond? And if it is, what specifically can be done to accomplish that? In tomorrow’s article, we will talk about The Separation of Powers. This is the third part of the second of twenty-five weekly articles in The Tennessee Star’s Constitution Series. Students in grades 8 through 12 can sign up here to participate in The Tennessee Star’s Constitution Bee, which will be held on September 23. The Separation of Powers between three equal branches of the national government–legislative, executive, and judicial– along with Federalism are the two foundational concepts of the Constitution of the United States that protect the freedoms and liberties guaranteed to individual citizens. Both foundational concepts are the practical implementation of the Founding Fathers’ belief in the need for checks and balances to prevent the rise of uncontrolled abuses of power within one branch of government. The nation subscribes to the original premise of the framers of the Constitution that the way to safeguard against tyranny is to separate the powers of government among three branches so that each branch checks the other two. Even when this system thwarts the public will and paralyzes the processes of government, Americans have rallied to its defense. One Founding Father, more than any other, was the driving force behind the inclusion of The Separation of Powers as a foundational concept in the Constitution: James Madison, an intellectual giant who was only 26 years old when he arrived in Philadelphia in May 1787 to sit as one of fifty-five delegates to the Constitutional Convention. Young Madison, a graduate of Princeton University, came prepared. He had spent months reviewing other forms of government throughout history and arrived with voluminous notes and a detailed outline of how he thought the Constitution should be written. To a large extent, the final document followed much of that outline. 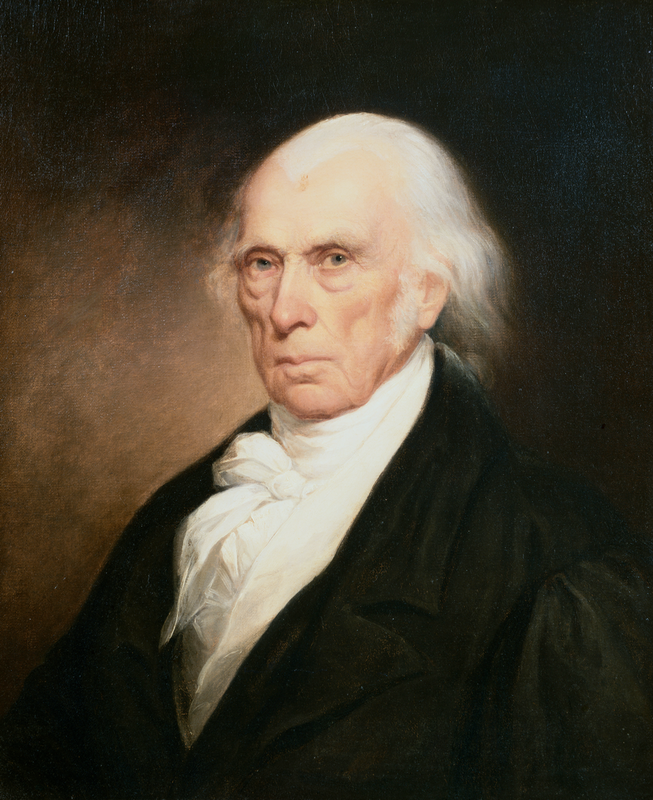 James Madison lived well into his eighties. He was a young man, barely 26, when he helped guide the Constitutional Convention to create the Constitution based on his well conceived outline. “Madison argues, it is not sufficient to establish separation of powers on parchment only. Because men are not angels—because they are so often actuated by private interest and ambition—these very motives themselves must be employed to keep the departments of government within their limited, constitutional boundaries,” the Heritage Foundation writes of the bookish young man who arrived in Philadelphia wise beyond his years. “Ambition must be made to counteract ambition. The interest of the man must be connected with the constitutional rights of the place,” the author of Federalist No. 51 wrote in early 1788 as the states were selecting delegates to attend the state conventions and debate the ratification of the Constitution. Madison probably authored that essay, though it may have been Alexander Hamilton. To accomplish this, the powers of the three branches of government are partially blended, enabling each branch to guard against usurpations of power by the others and safeguard its own constitutional province. Examples of constitutional checks and balances include the executive veto of legislative bills, the legislative override of the executive veto, the required Senate confirmation of presidential appointments to the Supreme Court, and judicial review. “The accumulation of all powers, legislative, executive, and judiciary, in the same hands, whether of one, a few, or many, and whether hereditary, self appointed, or elective, may justly be pronounced the very definition of tyranny,” James Madison wrote in Federalist Paper #47, first published in The New York Packet on February 1, 1788. “The preservation of liberty requires that the three great departments of power should be separate and distinct,” he noted in that essay. “Where the WHOLE power of one department is exercised by the same hands which possess the WHOLE power of another department, the fundamental principles of a free constitution are subverted,” he added. The end result that emerged on parchment of this scheme of “checks and balances” known as The Separation of Powers designated specific powers to each of the three branches of the national government. (19) To make all Laws which shall be necessary and proper for carrying into Execution the foregoing Powers, and all other Powers vested by this Constitution in the Government of the United States, or in any Department or Officer thereof. (3) and he shall have Power to grant Reprieves and Pardons for Offences against the United States, except in Cases of Impeachment. (6) the Congress may by Law vest the Appointment of such inferior Officers, as they think proper, in the President alone, in the Courts of Law, or in the Heads of Departments. (7) The President shall have Power to fill up all Vacancies that may happen during the Recess of the Senate, by granting Commissions which shall expire at the End of their next Session. 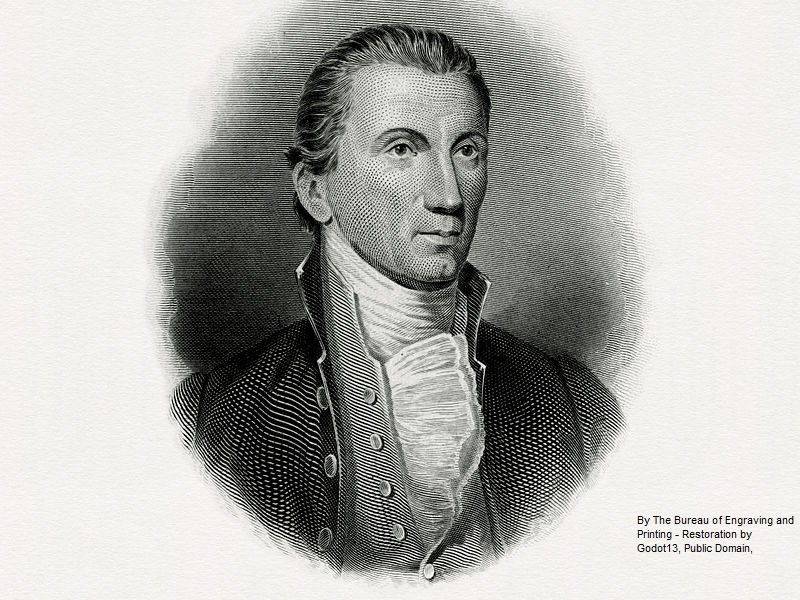 (13) shall Commission all the Officers of the United States. (8) and between a State, or the Citizens thereof, and foreign States, Citizens or Subjects. First, the national government has continually usurped the power of the state governments, as envisioned in the foundational concept of Federalism. 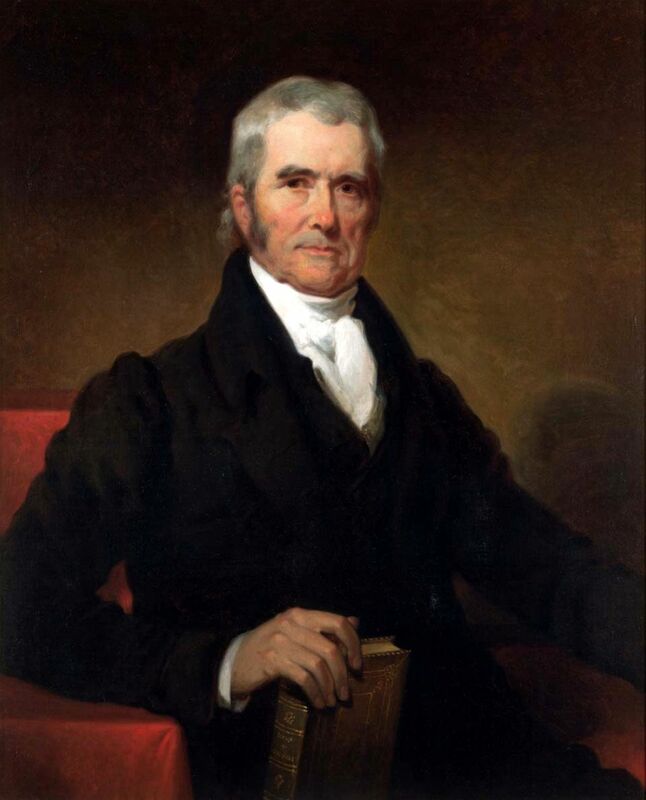 John Marshall, the second Chief Justice of the Supreme Court, established the principle of judicial review–that the Supreme Court could declare laws passed by Congress or acts of the President to be unconstitutional, in a famous 1803 case known as Madison v. Marbury. This judicial power was not explicitly authorized in the Constitution, but the principal of judicial review has been respected ever since. 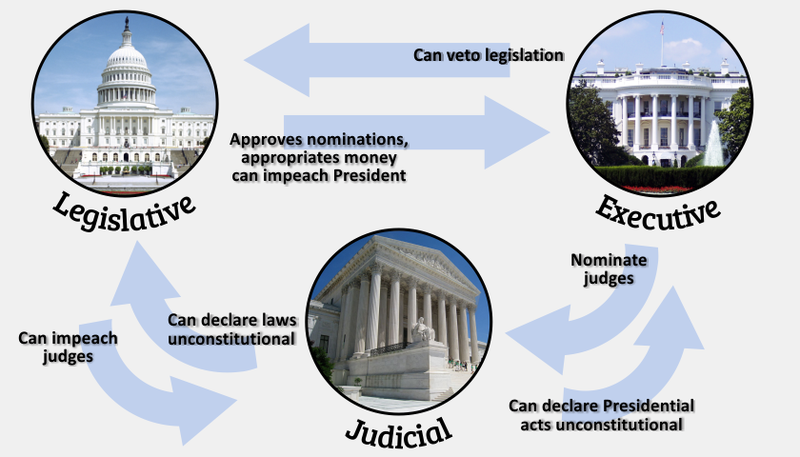 Second, The Separation of Powers within the national government has evolved dramatically, as both the executive branch and the judicial branch have assumed greater and greater powers, while the legislative branch has abrogated–informally in many instances–some of its most important constitutional powers. “Abrograte” is a strong word, not often used. The legislative branch has given away huge powers to the executive branch in the form of specific regulatory rule making based upon laws passed in Congress. This sacrifice of authority has given rise, over the past century, to the runaway regulatory bureaucratic state. The details of how this came about will be the topic of several articles in the remaining 25 articles in The Tennessee Star’s Constitution Series.